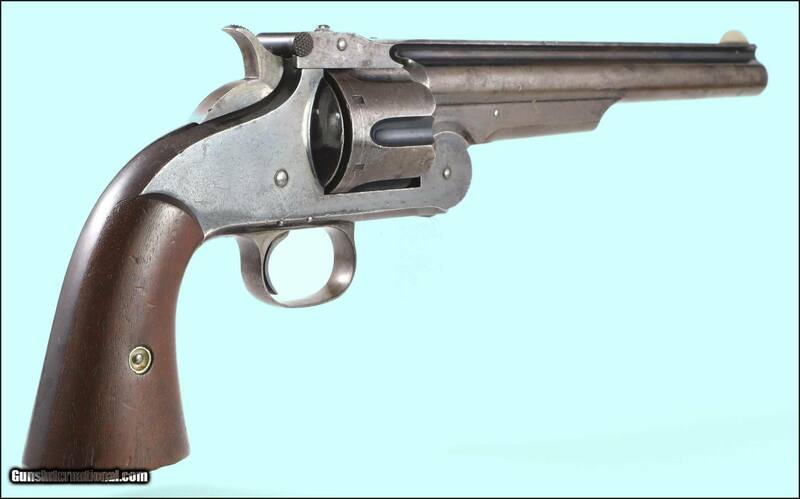 Manufactured in 1870, this Model is the first Large Caliber top break automatic ejecting revolver that Smith & Wesson made... 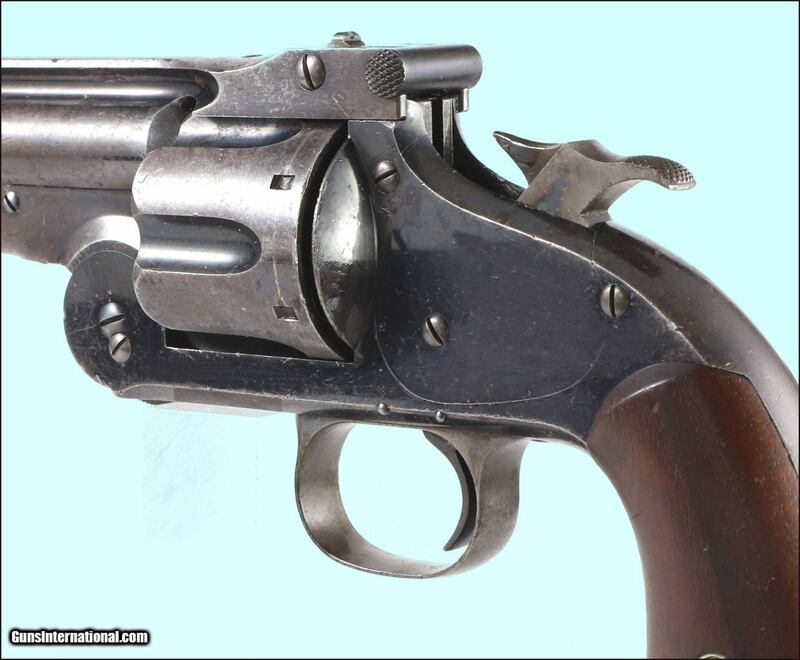 This revolver serial number "76" is a first year production gun which also features an "oil hole", as found on the first 1,500 of this model, located on the rear of the extractor housing on the bottom of the barrel lug. 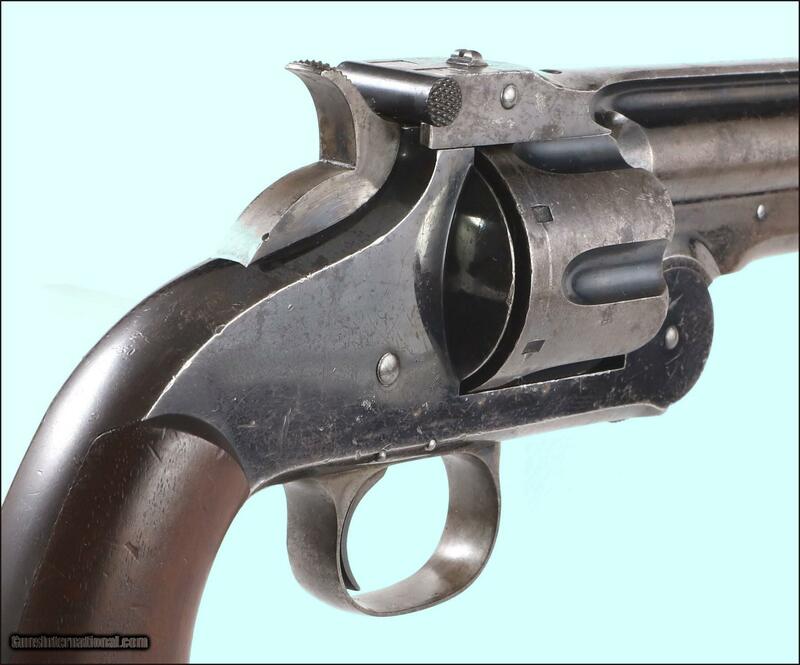 The top of the barrel rib is marked with the One Line Address and five patent dates (1860 - 1869). 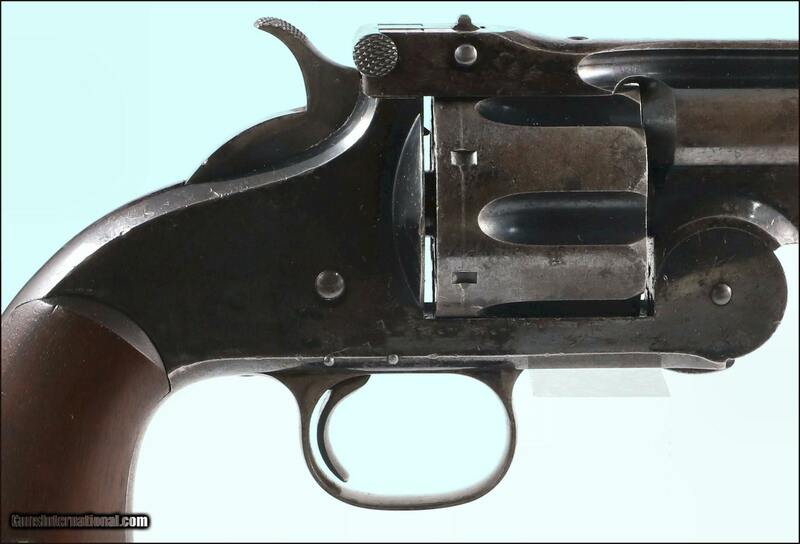 The rear face of the cylinder, right grip frame and the barrel latch are marked with the assembly number. Serial Number # 76 is in fine condition, the frame retains a strong 75% original blue finish thinning along high edges with surface scratches and dings scattered. The cylinder still retains original blue finish. 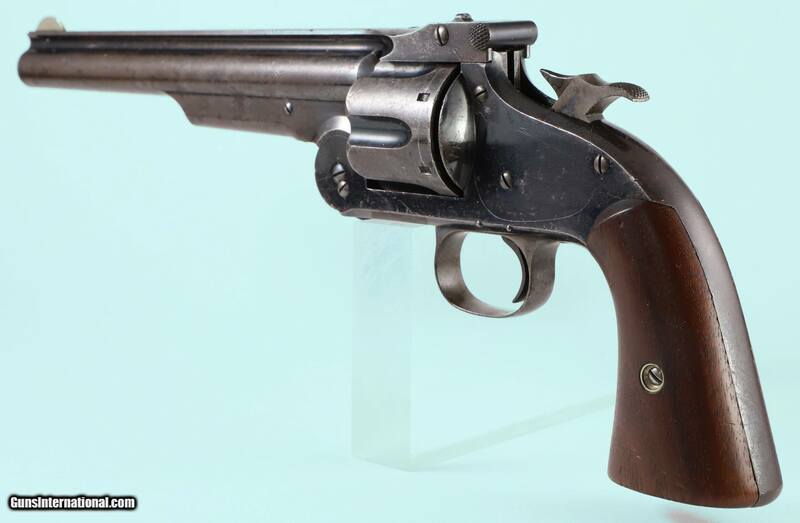 The hammer and trigger exhibit flashes of brilliant case colors mostly in sheltered areas. 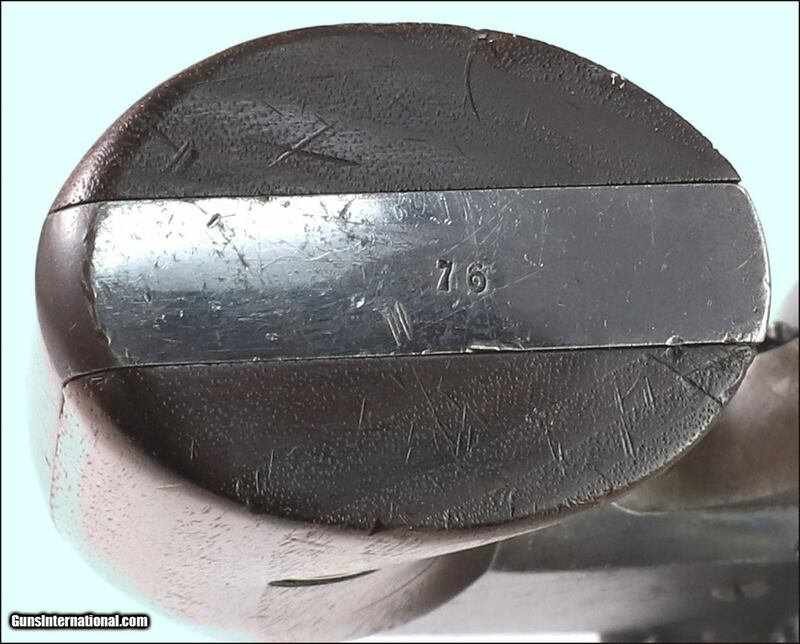 The grips are very fine with only a few gentle pressure marks. Overall a very solid, 100% "Original First Year Production" 1st. 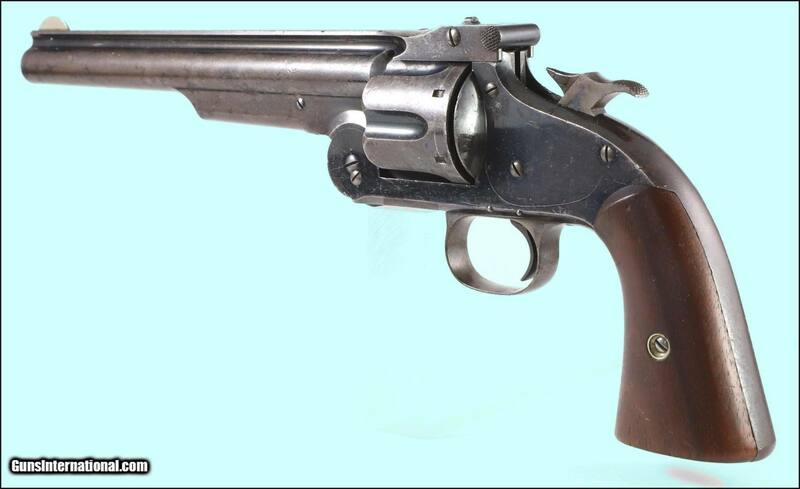 Model Smith & Wesson American.